About six or seven years ago I used to hang out and ride with a small group of friends. We’d party sometimes, late at night, after I finished bartending and closing down the bar. We’d wake up and go for a ride to brunch, and maybe a ride after that. It’s been years since I’ve seen most of them now. Back then I had a girlfriend who rode motorcycles to. We were always in synch, we could reach other’s minds. Riding with a friend means always having each other’s backs, and so we did. Last night I needed to get out of the house. It was Canada Day. As I walked the dog around the block, the smell of fireworks was strong, and the air was thick with smoke. Around me everywhere lights seemed to flash and pop. I realized then why I like walking the dog when the neighbours are setting off fireworks. They’re enjoying family, and togetherness. Something I haven’t had in years. I enjoy hearing the sounds of their happiness. When I came back inside I checked Instagram. Cat, one of the riding friends I used to hang with had just posted a picture. It was a selfie, with a snake over her shoulders. This is the perfect illustration, of a very interesting person, bored at home alone on a Saturday night. Trust me. It takes one to know one. 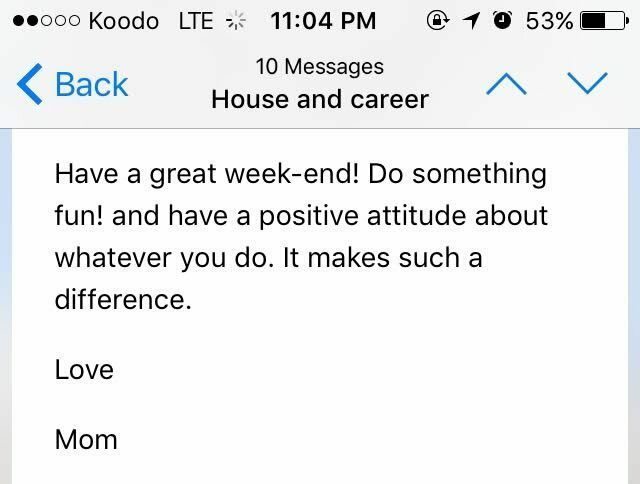 Mom’s words played in my head. I should enjoy the fireworks, I decided. I should get out of the house. I picked up my phone to reach out to Cat. Maybe she was as bored as I thought she was. And just like that I rode down to a familiar place. Cat’s place, which before that, was Jeff’s place. I learned about motorcycle wiring and how to solder there, with a soldering iron in one hand, and a beer in the other. I also learned about relationships, dating, and women there. But that was five years ago, maybe more, and we were all goofballs back then, clearly. When I got to Cat’s (not pictured) she was already on her bike and ready to go. We exchanged greetings. “Your bike is so quiet!” she shouted. And next to the Cobra exhausts of her V-Star 1100, it was. My V-Rod was no slouch, but it didn’t have the loud baritone booming of Cat’s pipes. Nor did it shoot little flames out as Cat’s did on deceleration. It’s not by accident, it’s a feature. We arrived and found parking just a few minutes before the fireworks started, and just a few minutes later they were over. It was the shortest firework show I had ever seen. 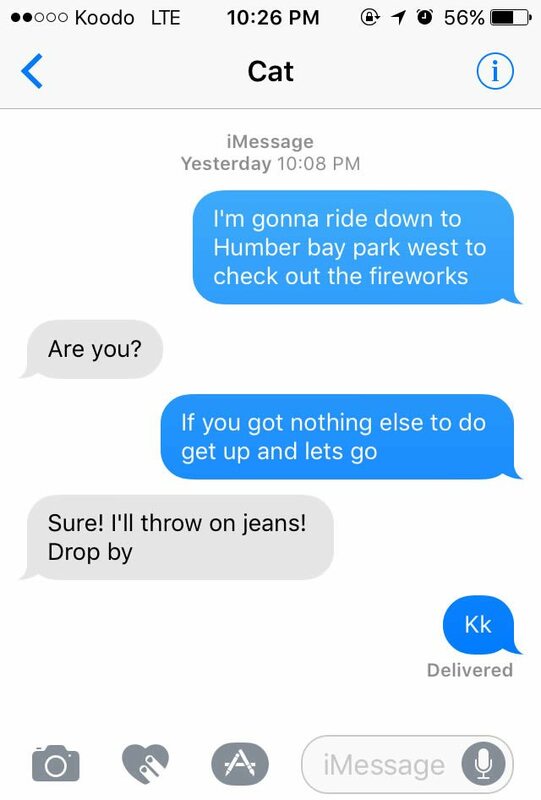 In high school, and up to a few years ago, my friend Enrico put on an annual Canada Day party, and I swear his firework show lasted three times as long. We went back to our bikes. Whatever, Canada, whatever. When I got home I reflected on how long it had been since I had gone for a ride with an old friend. It was my first time not riding alone all year. When you’re motorcycle riding with a friend you have each other’s backs. It’s my favorite thing about riding with a friend/friends. You block key positions for one another. You make your turns and your positionings leave space for one another. You don’t go through an intersection or between parked cars unless both of you can make it (except for when I forgot haha). When one of you has a problem, it’s everyone’s problem together. You offer an extra set of eyes and an extra mind to caution one another and keep safe. In effect, for the short duration of the ride, you’re a team. 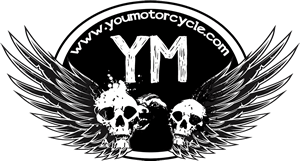 In a world that is growing increasingly inconsiderate and out for itself, it’s always nice to know your old riding buddies have your back on two wheels…. The next day a friend reached out to me. Her name is Lin. She had met her husband motorcycling years earlier. “Do you mind if I re-share this?” she asked. “I’m kinda feeling it in such a real way.” Wait, first, let me introduce Lin. This is Lin, or rather, this was Lin, probably around the time she met another rider, Brad, in the local motorcycle community, and the two of them started dating. Before long the two were married, and when Lin got pregnant, she stopped riding, for a while. “Go for it.” I told her. 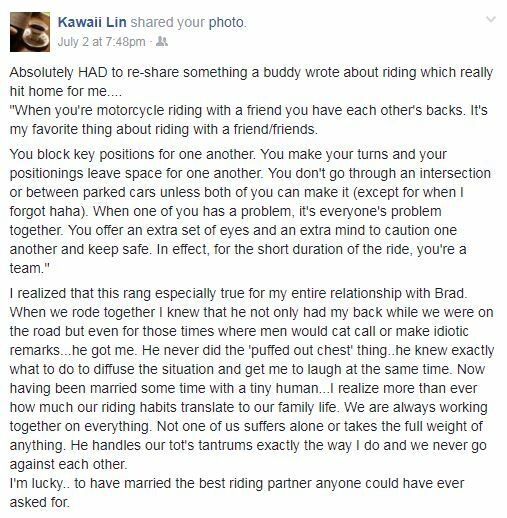 It was great to see that Brad and Lin could take that same consideration they showed each other on their rides, and apply it to their relationship, form a family together, and apply that same thoughtfulness in raising their child. And I’m not gonna lie, it was also cool to be a tiny part of one half of a couple expressing love and appreciation for their other half. Way to be, Lin. Way to freakin’ be. While we were out, Cat and I remarked the age gap between us and just about everyone else in our old social circle. We were, by far, the babies in the group, having started in our teen years. A decade later, it seemed like we were still an anomaly because of our age. But it was good to be out talking bikes in a context that wasn’t my garage, or at a bike night. It turns out Cat enjoyed being out of the house, I definitely needed the escape, and Lin, well, she’s making her way back on two wheels! Cat seemed excited at the idea of being out riding with Lin again this summer. Maybe it’s time we all returned to our tribe, the people who get us and who look out for us. Not just our friends, but our riding family. To Cat, Pat, and everyone else I’ve ever been out on a ride with: Thanks for dragging me out now and then, tagging along when I drag you out, and for having my back. I’ve got yours too. To my readers, I challenge you to think of the first person you used to ride with and haven’t seen in a while, and to reach out to them. Make plans. Don’t just say you’ll make plans. Make them. Go for a ride. Get at those old friends, right now. The season is short. Play in traffic! So true! I like being a Lone Wolf but sometimes the wolf needs the pack!! !